Energy companies led U.S. stocks higher in afternoon trading Wednesday as the price of oil recovered from an early slide. Investors were also weighing the latest company earnings and deal news. Consumer staples companies lagged the rest of the market. The Dow Jones industrial average rose 105 points, or 0.6 percent, to 18,159 as of 3:05 p.m. ET. 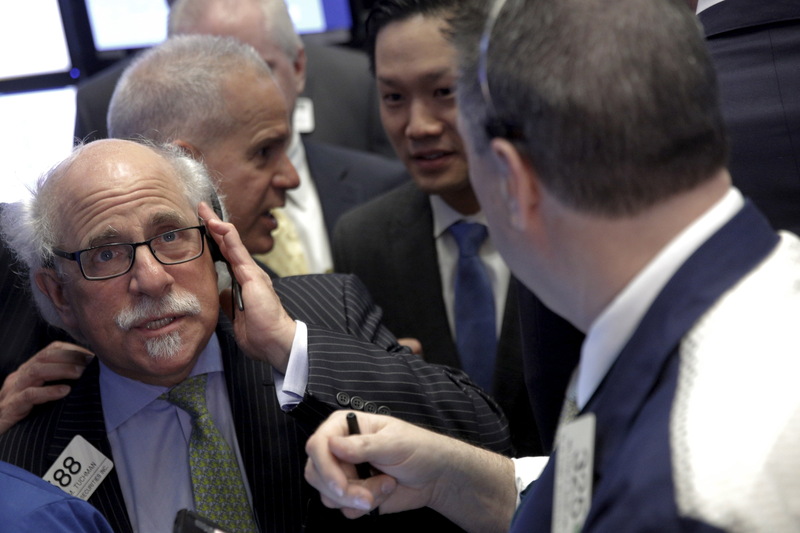 The Standard & Poor's 500 index added nine points, or 0.4 percent, to 2,110. The Nasdaq composite index gained 28 points, or 0.6 percent, to 4,968. In Europe, Germany's DAX rose 0.7 percent, while the CAC-40 of France gained 0.6 percent. The FTSE 100 of leading British shares added 0.1 percent. Earlier in Asia, most markets closed lower. South Korea's Kospi fell 0.3 percent and Hong Kong's Hang Seng slid 0.9 percent. Japan's benchmark Nikkei 225 edged up 0.2 percent, while Australia's S&P/ASX 200 added 0.5 percent. Bond prices rose. The yield on the 10-year Treasury note fell to 1.81 from 1.78 late Tuesday. In currency markets, the euro fell to $1.1322 from $1.1377, while the dollar rose to 109.71 yen from 109.13.